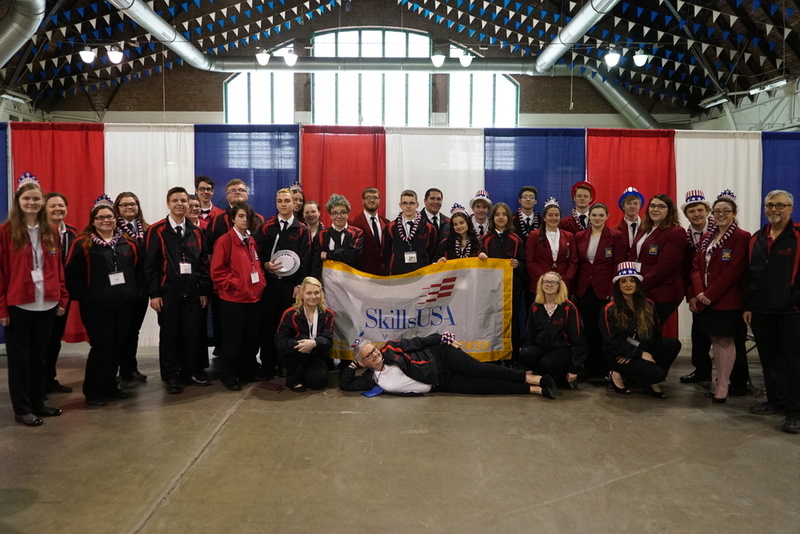 A total of twenty eight Lewis and Oneida County high school students from the Howard G. Sackett Technical Center competed in the New York State SkillsUSA Leadership & Skills Championships held April 25-27, 2018 in Syracuse. Of those, eleven students medaled in a total of four categories. SkillsUSA is a partnership of students, teachers and industry representatives working together to ensure America has a skilled workforce. It is a national membership organization serving middle-school, high-school and college/postsecondary students who are preparing for careers in trade, technical and skilled service occupations. Chapters are located locally at both the Charles H. Bohlen, Jr. Technical Center in Watertown and at the Howard G. Sackett Technical Center in Glenfield. Each year, Career & Technical Education students from across New York State gather to compete against each other in various events involving trade skills, ranging from carpentry to computers. Often times, these are skills that employers are looking for when hiring. The judges in many of these competitions are those who work in that specific field or trade. Winning first place gold medals this year were Joshua Myers and Kad Sullivan of South Lewis, and Dustin Hastwell of Adirondack in the Promotional Bulletin Board team competition. They will have the opportunity to represent New York State in the SkillsUSA National Conference held during the last week of June in Louisville, KY, competing against other students from across the country. Winning second place silver medals this year were Sadie Buckingham of Adirondack, and Kali Smith and Danielle Loomis of South Lewis in the Community Service team competition. Winning third place bronze medals this year were Jade Howard of Adirondack, Ciera Eagan of South Lewis, and Dale Moore and Haliegh Szablewski of Lowville in the Health Knowledge Bowl team competition; and Wyatt Scoville of Lowville in the Auto Service Technician competition.